This tangy biscuit based cream desert was a big cheese cake in Hollywood during the heyday of the silver service screen era. Extremely talented, for a pie, as a writer Key Line Pie penned many classics in the 1930s including ” Duck! Soup ! “, ” Little Caesar Salad ” and a second slapstick comedy staring the Macaque Brothers, ” Monkey Pickle Business “But with success came jealousy especially when the pie began writing itself into its own movies ( The Lunchpack Of Notre Dame, Citizen Sugarcane ) penning the best lines for itself. 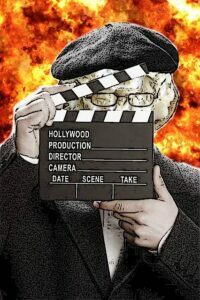 Sidelined A list stars began to feel increasingly envious & humiliated by their treatment on set, sentiments that came to a head ( and some teeth ) in the infamously coined Gum Power Plot when lead actors attempted to devour Mr.Pie during the shooting of Arsenic And Old Cake ( 1944 ). Following this narrow escape Pie became reclusive and paranoid. Orson Wells never worked with the pie again. Rumors that Pie thereafter would cast only supermodels and jockeys in leading roles abounded. Some said that Pie would inject itself with E numbers to prolong its shelf life. And, as Pie continued to produce contemporary work ( The Dessert Fox, 1951), others claimed that there was a factory somewhere in the Californian hills that was churning out exact clones of Pie so it could continue its work. Pie is probably best remembered, however, for his animated classics ( Pienocchio, Bunbo, Peter Pancake, Butty & The Bistro ) in which the lead actors couldn’t eat him. 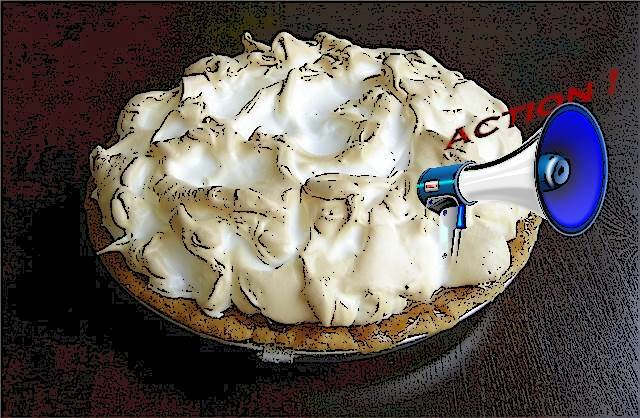 The public forgave Pie’s eccentricities, charmed by the fairy tale features that gave rise to the phrase, ” a Pie ending “Eventually Pie withdrew from public life all together. Some said he had perished. Others that he had been accidentally killed by a clown, having secured a ringside seat near the prop table when the circus was in town. The most popular theory, however, was that Pie had frozen itself until such a time when culinary science had advanced sufficiently enough to allow it to live forever just like his films do in our memories.